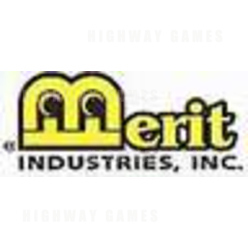 Merit Industries, one of the world's leading amusement video touch screen games manufacturers has recently opened an office in Wiesbaden, Germany, under the direction of Merit's new Vice President of European Operations, Peter Kuhn. Mr. Kuhn will report directly to Merit's President and CEO, Mr. David Logan. The company plans to coordinate and strengthen its European presence by developing new products and marketing concepts specifically designed for the European community. Mr. Peter Kuhn, a former member of the NSM board, has been a consultant to the gaming industry for the past three years. At NSM, a world leader in the manufacturing of Jukeboxes and a leading German distributor of coin-operated amusement equipment, Mr. Kuhn was responsible for developing the European marketing programs that sold over 100,000 electronic dart machines in the last decade. In addition to this, he was responsible for worldwide sales and marketing of the NSM Group for more than ten years. "With this coin-op industry experience," said Dave Logan, President and CEO of Merit, "we are very confident that we will achieve the aggressive European growth goals that have been planned for the company in Europe". Mr. Logan stated that "Peter has come highly recommended by coin-op industry leaders in both the United States and Europe. Under Peter's direction we feel that our upcoming TournaMAXX Global Player Ranking System game and other new product offerings will provide a steady stream of new and innovative profit generating programs for our customers."